Breann began working with us in the summer of 2012. 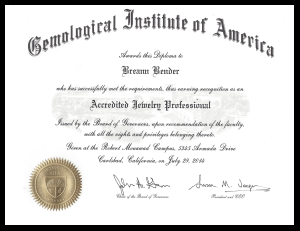 In July of 2014, Breann graduated from the Gemological Institute of America as an Accredited Jewelry Professional. 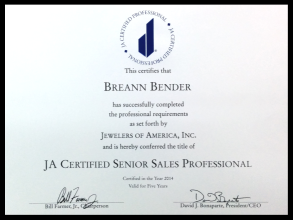 In October of 2014, Breann earned her Senior Sales Professional certification from Jewelers of America. In her spare time, Breann can often be found hunting for gems, lizards, and any other creepy crawly reptiles all over southwestern United States.